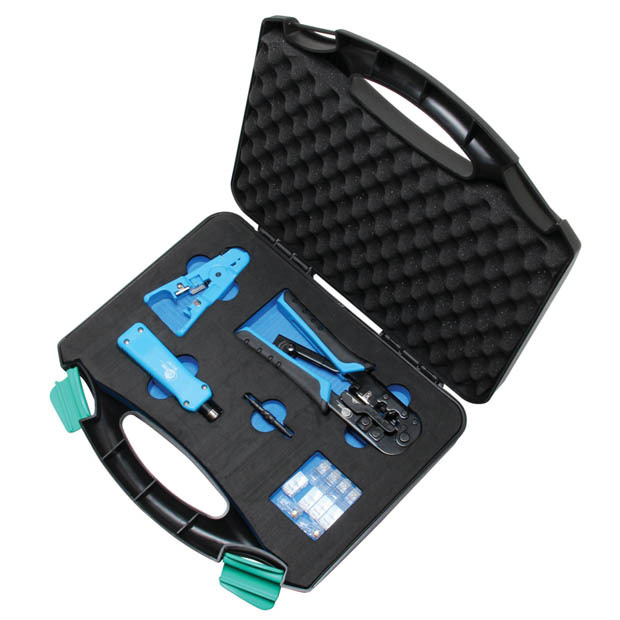 Kit contains three tools and 10 pcs RJ45 connectors. Perfect for making new patch cords or terminating 110/88 jacks and/or patch panels. Case: 12.5" x 10.3" x 2.4"
Wire stripping tool combines stripping and cutting functions to correctly prepare network cables without damaging vital conductors. Modular crimper for terminating RJ45 and RJ11/12 network cable. Impact punch down tool with impact function for quick, painless wire terminations.